On this day 15 years ago, Kirby’s racing spinoff -- now a cult classic among GameCube owners -- hit store shelves in North America. Despite being based around familiar conventions, there hasn’t been anything quite like it since. Its controls are simplistic and it cleverly integrates Kirby’s iconic abilities into vehicular gameplay. I myself poured more hours into Kirby Air Ride than I can count. Indeed, some of my favorite gaming memories trace back to City Trial… oh, and the actual Air Ride mode too, I guess. Not to knock that other mode, because I also raced hundreds of laps around each of Air Ride’s courses and also on Top Ride’s mini-courses. I look back at those tracks with the type of fondness you can only get from genuine nostalgia. Yet the vast majority of my memories around this game are rooted in City Trial, and most conversations about it end up focused around mode instead of the one Kirby Air Ride is actually named for. It’s not a bad kind of ironic for a game to be more iconic thanks to its side mode than its main attraction, but it’s still a curiosity. City Trial is certainly memorable to me because I've never played any other vehicular game mode like it, but I also feel that it makes use of Kirby Air Ride’s core mechanics better than normal races do. To understand these modes, it helps to understand the fundamentals of Kirby Air Ride. Unlike most racing games, Air Ride only uses the analog stick and a single button. The analog stick steers your character on the ground and in the air, and can also be used for a spinning melee attack by wiggling left and right rapidly. The A button is used for both braking and drifting, slowing Kirby’s machine as it slides in a set direction until it stops, allowing him to turn and charge up energy for a boost to quickly accelerate again. 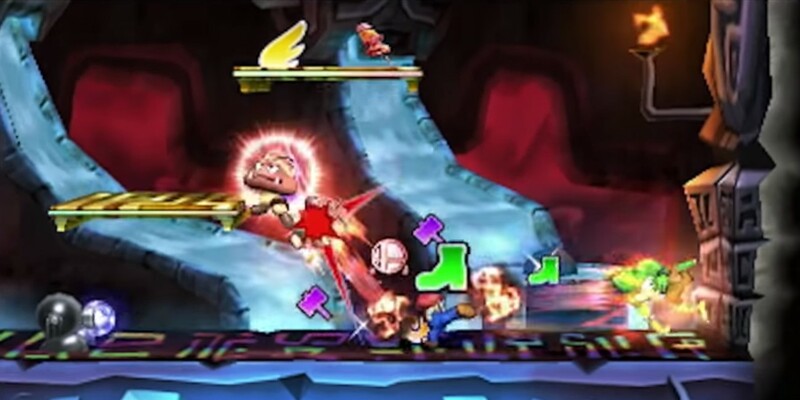 If pressed in front of an enemy, the A button instead uses Kirby’s traditional inhale, after which he automatically either spits out a projectile or acquires a copy ability (and each ability comes with its own appropriate spin/A button actions). These are clever and intuitive controls, but technically, that’s all there is to normal maneuverability mechanics. Since most vehicles constantly accelerate automatically, there’s little way to maximize speed other than nailing turns by braking and boosting -- not quite drifting, more like gradually slowing down and rapidly re-accelerating once you face the correct direction. It’s a creative twist but not quite as thrilling given it temporarily stalls most machines until the turn is complete and they rocket forward again. Most of the racing games I enjoy constantly keep me going at high speeds. Air Ride takes a drastically different approach to the genre, asking me to cruise and stop in repeated moderation. During a race, it can feel off-putting compared to maintaining a high speed while you dangerously drift around a corner. There are over a dozen unlockable vehicles that all have different nuances and gimmicks compared to the vanilla Warp Star. The Bulk Star uses boost energy as fuel and won't move without it, but bulldozes the competition once it's topped off. The Swerve Star instantly accelerates and stops on a dime, but can't turn unless it's stopped. A few machines are literally just Wheelies fashioned into bikes, trading hovering and gliding for traction. And that much vehicular variety is bound to affect your racing style, but all of them still race using the same principles described above with exception of the Slick Star. This vehicle is incapable of coming to a complete stop, which made it extremely difficult to handle as a child. Instead, Air Ride has more focus on offensive mechanics. The quick spin gives every player a weak but easily available attack to harass foes ahead or beside them. Frontrunners can use it too if they notice any slipstream riders coming up close on their tail. All other offensive options revolve around using enemies dotted on the course, making them equivalent to items in other racers but with instantaneous use. Copy abilities provide an assortment of attacks from automatic melee slashes to chargeable projectiles and enhanced spins. Depending on chosen rules, inflicting damage on other racers either gives the attacker a little speed boost or brings their opponent closer to destruction and disqualification. These controls and mechanics make Kirby Air Ride a far more offense-oriented racer than most. This not only helps cement its uniqueness as a racing game but as a party racing game -- because in all honesty, we liken it more towards the chaotic and casual shenanigans of Mario Kart than the technical and competitive mastery of, I dunno, Forza Horizon. Now, everything I just described to you pertains to the titular Air Ride mode of the game. City Trial, on the other hand, takes all of those same mechanics and places them in the context of a vehicular arena with additional items. Instead of racing for the finish line, players scramble for pickups, using any means necessary to secure and steal items from one another. This encourages players to seek out fights with each other, turning the city into a chaotic battlefield... but unlike other party racer battle modes, destroying other vehicles is not the end goal, only one of several means to an end. As its name implies, City Trial takes place within a single sprawling city, no alternate maps or courses to choose from. Players have five minutes to roam around the map doing whatever they please. Nothing is scored or decided after these five minutes are up. Instead, the items that players have collected will determine their performance and abilities in a randomly selected challenge. This can be a single-lap race on a normal Air Ride course, a destruction derby, a long-jumping contest, or one of several miscellaneous one-minute trials. And only that finale decides victory or defeat. Those first five minutes in the city are extremely important, because it gives players opportunities to power themselves up for that finale... or power down their enemies. This is mostly done by collecting random powerups from mystery boxes, which must be broken with brute force. With this new goal, stopping and boosting with the A button changes from a mild speed bump to an extremely appreciated tool. Everyone starts with an easily controlled but slow Compact Star, tasked with finding upgrade patches and better machines to constantly improve their abilities. 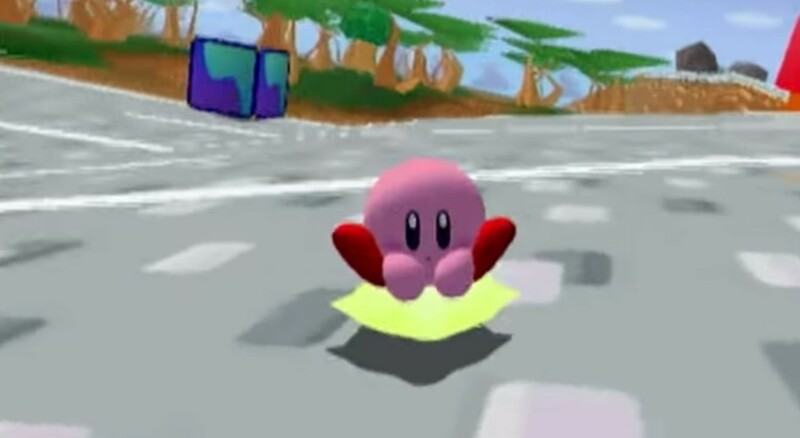 Of note is that only in this mode, Kirby is capable of dismounting his vehicle and running around, though this makes him a sitting duck and it's only helpful to hop onto any other nearby vehicle. These upgrade patches take immediate effect during the city phase, demonstrating a machine's growth over the match. If stacked enough, they can allow any machine to turn on a dime or zip to rocket speeds or eat an atomic explosion with barely a scratch, but it takes a mix of luck and skill to find that many upgrades for a single stat. If one player is especially lucky (or their foes unlucky), they might piece together a Legendary Air Ride Machine to dramatic fanfare, changing the soundtrack and sky for the rest of the city phase just to let everyone else know how awesome they now are. 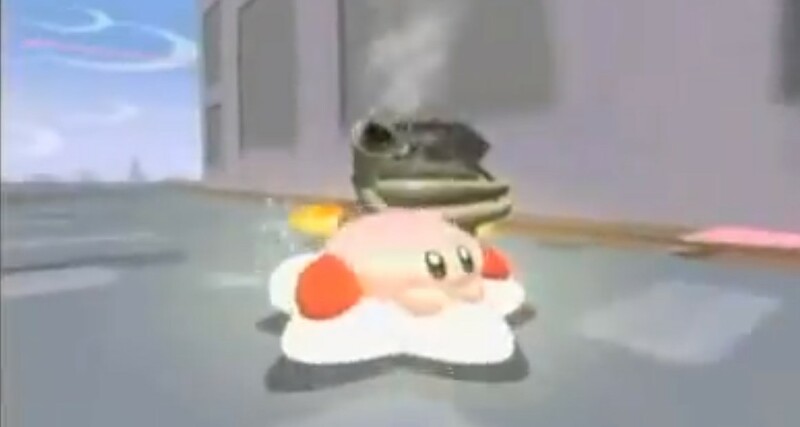 Upgrades can also be dropped and machines can be destroyed by taking too much damage, forcing Kirbies to waddle and float adorably but helplessly until they find new vehicles. On top of all this, a plethora of temporary weapons and boosters encourage players to constantly ambush and attack each other to steal each other's precious loot. These power-ups give each match a sense of progression and escalation closer to a micro-RPG than most party games. The only other party game I can think of with a similar constant sense of players powering up and progressing in strength is the likes of Dokapon Kingdom, which is literally an RPG, or resource-managing board games like Fortune Street. Neither of which share City Trial's real-time gameplay or short match length. Random events spawn to help, hinder, or catastrophically screw over the players, such as spawning healing zones or invoking a meteor apocalypse. Some “powerups” can be detrimental to their owner if hastily grabbed or recklessly used. Even the actual contest that determines victory is decided at random, meaning a machine that's been min-maxed could lose to a mediocre but balanced one by luck of the draw. City Trial revels in the unpredictable madness of party games with dozens of unpredictable variables. The pleasant twist is that any bad surprise can be circumvented by reacting properly, whether it’s avoiding a bad item or turning the tide in an unfavorable final event, as there is no automatic screw-you button like a blue shell (except arguably the Mic ability, which still has a limited range). But you’ll never be prepared for everything, and taking your time can be a risk in itself when you only have five minutes to power up and then one shot to win. 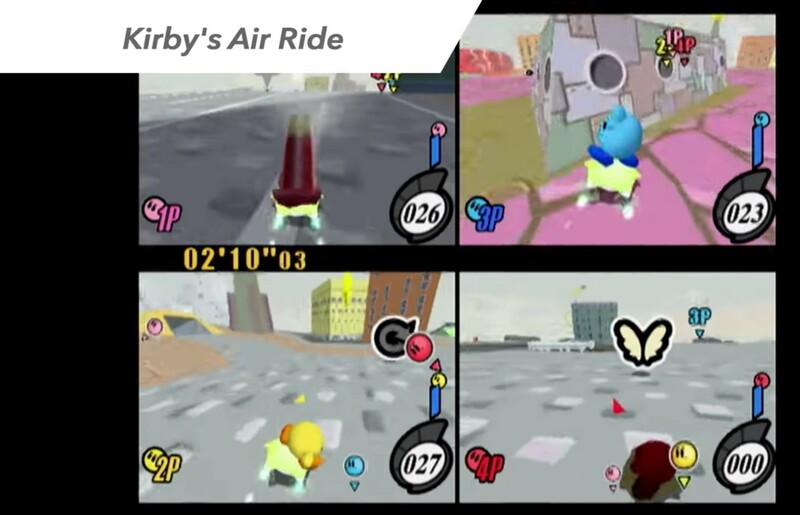 City Trial is memorable because it embodies the party game spirit at the core of Kirby Air Ride’s unique racing mechanics better than its other modes. Despite players starting on neutral ground, City Trial matches constantly escalate as players’ overpowered builds begin to take shape and major events regularly upheave the status quo. Any major goal that a player takes large steps towards, such as finding a Legendary Air Ride Machine part or grabbing all of Dyna Blade’s loot, paints that player as a threat and ramps up conflict around them. A City Trial match always starts small, but its chaos slowly forms new exaggerated yet tangible shapes each time due to the dozens of variables players have limited control over. By any match's end, it will be remembered as "that time you flew across the map in 5 seconds", or "that time you KO'd everyone else but still got 4th place in the race because you rocketed into the bottomless pit", or "that time you gave the Swerve Star the ability to normally turn" or any other "that time." Those moments are only possible in a mode with City Trial's incremental upgrading mechanics, and it's a hilarious power fantasy to see your favorite vehicle gradually become a ludicrously overpowered monster because of your strategies and your luck. Mostly your luck, but hey, any good party game can deliver on an illusion of strategy! Even to this day, when I hope for an Air Ride 2 to be announced, what I mostly want is a City Trial 2. Technically, we got that in Super Smash Bros 3DS’s Smash Run, which shares extremely similar root mechanics and rules… but not as effectively. Players can’t attack each other. Every player starts on uneven ground with their chosen fighters and powers instead of building upon a generic starting point. Most final battles were variants on traditional fights and thus relied on the same skillsets. There is no “super-powerup” equivalent to the Legendary Air Ride Machines to create constant tension or escalate the conflict between players (... if they could attack each other). The end result is more predictable, yet players have less agency during the buildup before then. Smash Run doesn’t live up to the same thrill that City Trial was famed for, despite Sakurai name-dropping City Trial as its inspiration. It possibly could achieve that with some tweaking, which might be cool to see in Ultimate, but to expect that would be pure speculation. Realistically, I don’t expect Kirby Air Ride to get that sequel either. 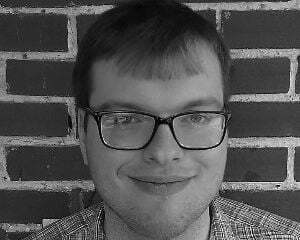 It was a Gamecube game with a mixed critical reception and its release around other Nintendo racers didn’t do it any favors for getting noticed. But man, I love it and I’m convinced it deserves that sequel, even if only for another City Trial with a new map and new events. This mode offered a unique brand of party-game chaos that would be wonderful in this age of online play. Even though the Switch is shaping up to be a wonderful local party console, it’d be all the better if Switch Online subscribers (I mean… if you are one, ‘cuz I’m still waiting for a confirmation of how Smash's online will play) had more toys that put it to good use. I can imagine few greater thrills than shouting frantically as me and my pals steal and destroy each other’s machines built for raw speed and power, only to discover that the event is fudging Target Flight and the Stadium Prediction was a LIE I will never trust that circled exclamation point again! Filed under... #Destructoid Originals #Kirby #party #Racing Games #Super Smash Bros.